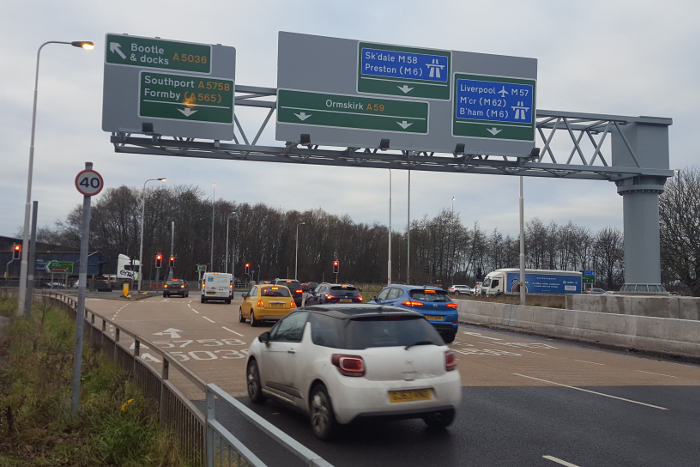 Highways England (HE) has completed a huge £5m (US$6.4m) project to improve journeys and road safety at a major motorway junction in the Merseyside region six weeks ahead of schedule. More than 90,000 drivers travel through the Switch Island intersection every day, where the M57, M58 and three A roads all meet, making it one of England’s busiest motorway junctions. Among the improvements made by HE are airport-runway-style LED studs, extra-high traffic lights and high-friction road surfaces. Working in partnership with HE’s contractors 4way Consulting and Balfour Beatty Mott MacDonald, Clearview Intelligence has installed 175 hardwired LED road studs at the junction. Designed to enhance delineation and reduce the risk of lane transgressions, the studs are synced with the traffic signals to automatically illuminate upon a green sequence and turn off once it completes. This is the first dynamic delineation scheme at a major motorway junction on England’s strategic road network (SRN). 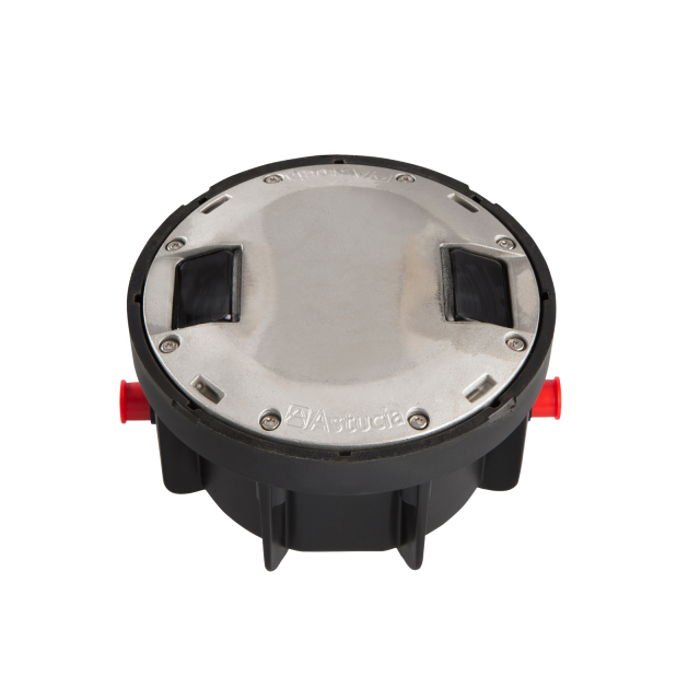 Using high-powered LEDs, Clearview’s hardwired IRS2 studs can be seen 10 times further than traditional retro reflective studs and are effective in all conditions, but particularly in rain, fog or darkness when visibility of the road ahead is most hindered. The Switch Island project, which was funded by the UK government’s £220m (US$284m) congestion relief program, began in early 2018 and was originally due to take 12 months, but has been completed six weeks early. The scheme will improve safety and help reduce the risk of incidents at the junction, following 49 collisions in two years, an average of one every fortnight. The new 16.4ft (5m) high traffic lights are also designed to improve safety, as they are higher than trucks and double-decker buses, so that drivers approaching Switch Island can clearly see when the lights are changing. Other improvements include: changes to the road layout and lane markings, new barriers between carriageways, and four new overhead gantries that clearly display destination signs over each lane. The junction has also been resurfaced and a new 1,312ft (400m) long shared cycle path has been created, which links up with the existing cycle path alongside the A5036 Dunnings Bridge Road. HE’s maintenance teams have been making improvements to the A5036 while the junction upgrade work has been taking place, including filling potholes, installing new signs and repairing footpath guard rails. “Tens of thousands of drivers rely on Switch Island every day to get to work, for deliveries or to meet friends and family, so we’re keen to make sure their journeys are as smooth as possible,” said Phil Tyrrell, HE’s project manager.